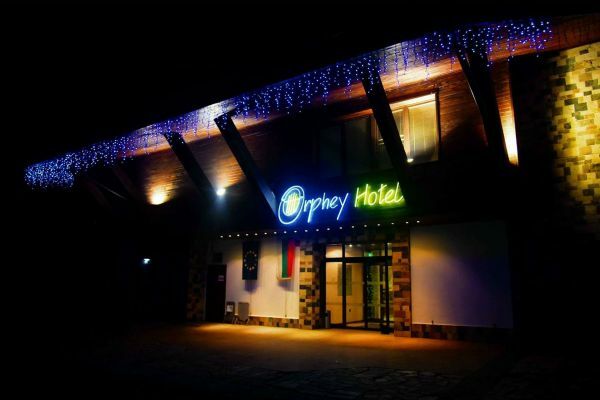 The Hotel Orphey is a luxurious four-star hotel. 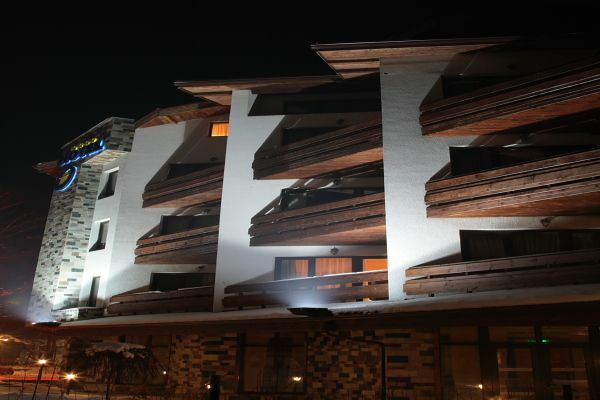 Situated in the heart of one of the most modern ski resorts in Eastern Europe – Bansko. The hotel has a unique location. It is among the ancient trees of the park. The Hotel yard naturally passes into the town park and has wonderful views of the Pirin Mountain. Nearby are the National Revival Complex and a town center. In the area has avoided massive building and this makes it one of the most attractive in Bansko. 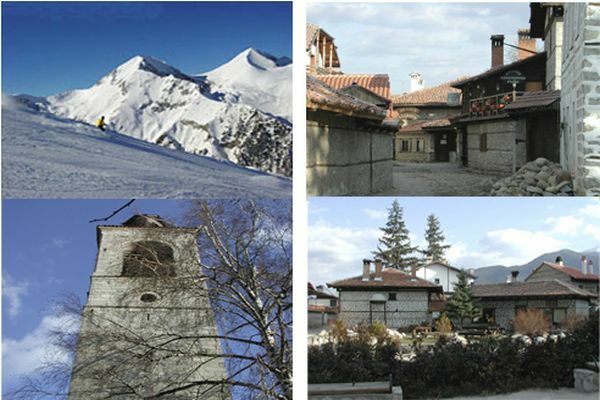 In the winter, the hotel offers excellent conditions for skiers, snowboarders and nature lovers. Summer is suitable for roundabout groups, green schools, tourists, looking for the beauty and the fresh air of the Pirin Mountain. 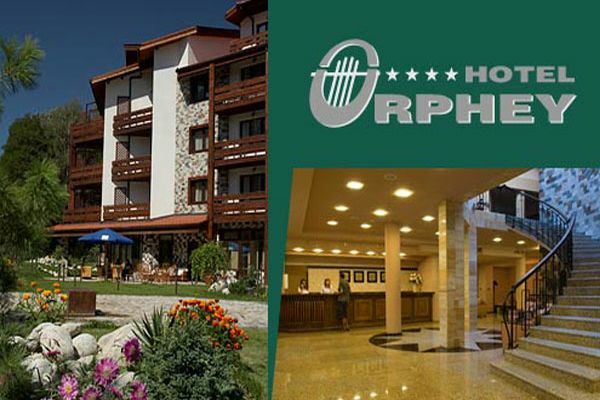 The Hotel Orphey offers conditions for conferences and organized events. The diversity of rooms in the hotel, the location and the organization of the hotel, make it a favorite for families with children. We are waiting for you the silence and the unforgettable charisma of the Pirin mountain combined with the spirit of the old Bansko. Obligatory take with you a good mood and a smile. Everything else will be taken care of by the staff of Hotel **** Orphey. 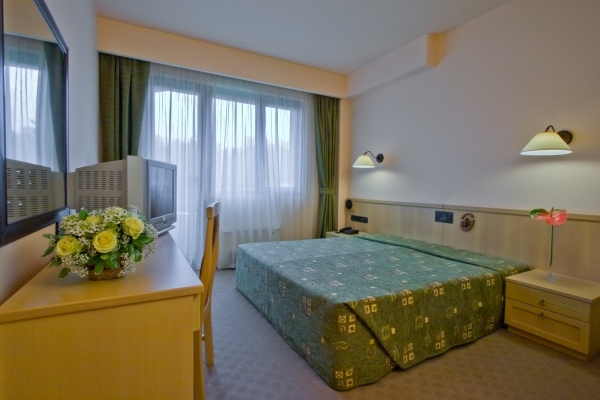 The double and double rooms have an area of ​​25 to 34 sq.m and can accommodate 2 + 1 or 2 + 2 people. The rooms are equipped with 32 '' LED TVs; the main bed can be a bedroom or two separate beds; extra beds are single for the double room and doubles for the double room enlarged; bathroom with tub, toilet with bathtub and sink with granite countertop. 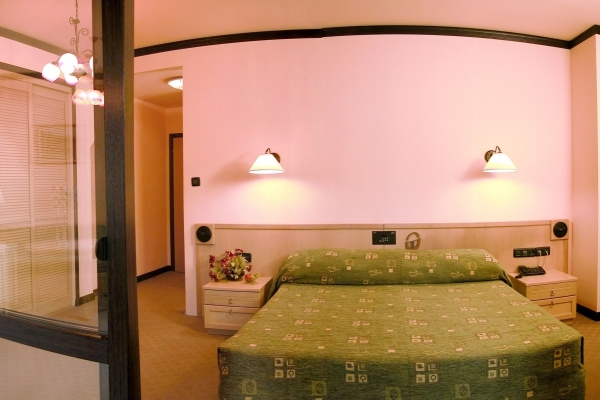 Almost all rooms have a balcony, most of the rooms have a magnificent view of the beautiful Pirin mountain. Some rooms have interconnection capability. ONE BEDROOM SUITES have an area of ​​47 to 54 sq.m. They are two connected rooms separated by sliding glazed doors. Suitable for accommodating more than 2 adults or families with children. Equipped with 32 '' LED TV. Sanitary rooms with bathtub and sink with granite countertop. The apartments have a balcony and overlooking the Pirin Mountains. The SUITES have two separate rooms and area of ​​54 or 57 sq.m. There is a possibility of comfortable accommodation for up to 5 adults. There are two separate rooms - a bedroom and a living room, a corridor, a bathroom and a separate toilet. They are equipped with two 32''LED TVs - in the living room and 21''LED TV in the bedroom. The bathrooms are equipped with two sinks with granite tiles, a shower cabin and a hydromassage bath. There is a separate storage niche in the corridor. In the living room there is a fireplace for coziness in the cold winter evenings. 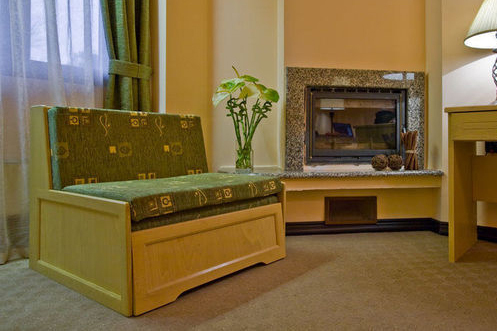 All apartments have balconies and views of the park and the Pirin Mountains.